Great all round alpine pack with large front pocket great for easy access gear like layers or ski touring safety equipment. 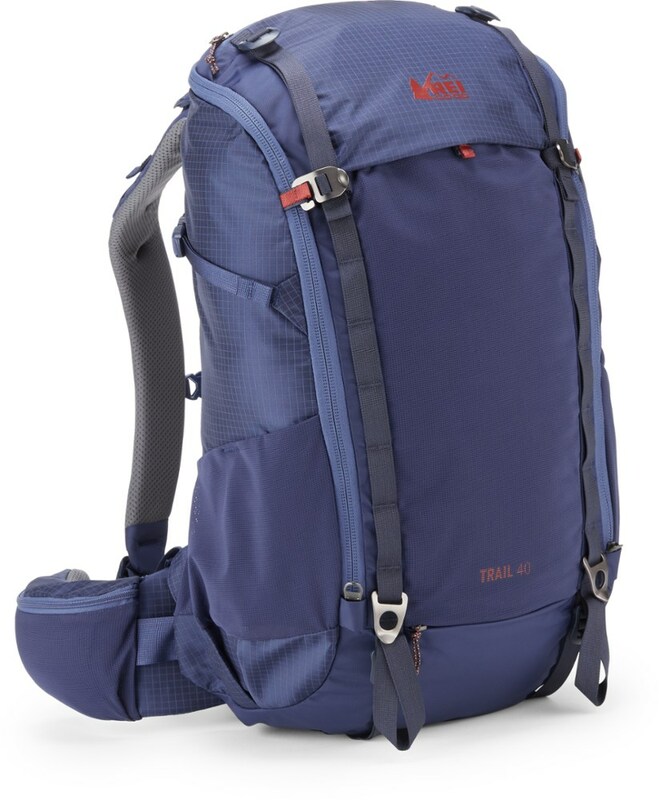 The Trion Guide is a well sized pack perfect for mountaineering, ski touring, and general hiking. 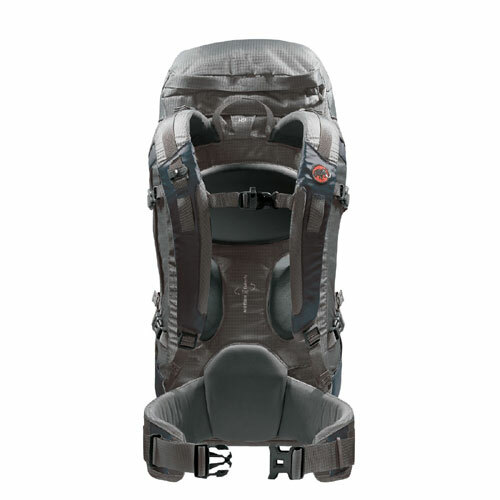 The fit is one-size-fits-all, and it's very similar to Deuter's Guide series of packs. The padding isn't anything special, and the straps seem to fit well to my 5'10" narrow shouldered frame. The hip belt moves pretty well and doesn't get in the way of climbing or skiing. 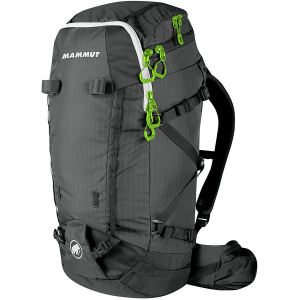 You rarely notice the pack itself, just the weight so I have found it great for all kinds of trips. I can get just about anything I need for a weekend in the alpine. I have been able to get enough stuff into this pack for any weekend. 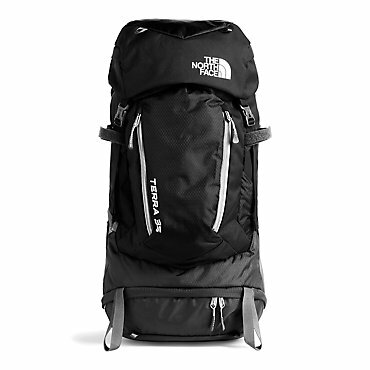 To date a 10L sleeping bag, Jetboil, 1L sleeping pad, 4L of food in a stuff sack, pants, down jacket, 2x socks, harness, shirts, and a Hubba Hubba or similar small size of tent. There is normally still room, about 20cm of space, left on the top of the pack. Enough space for a moderate sized climbing rack. 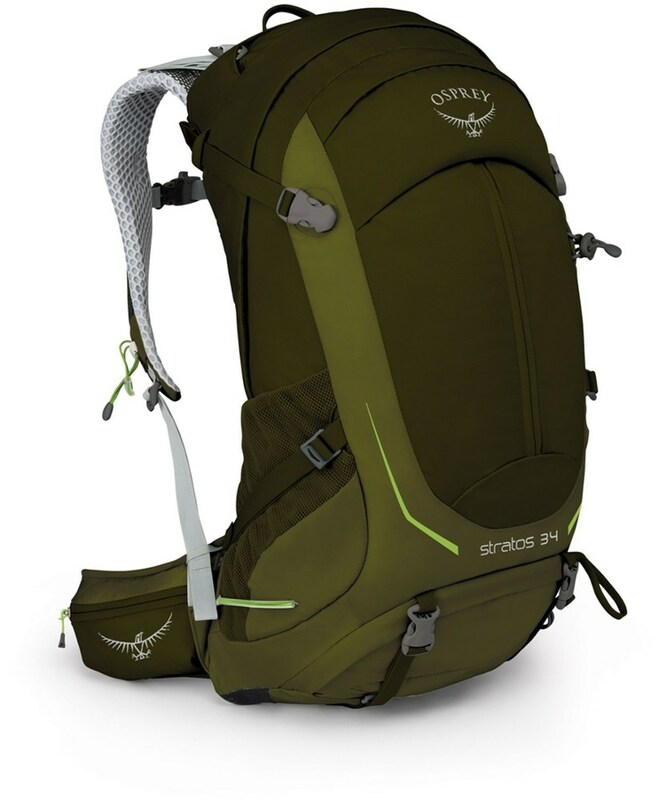 This pack also compresses well to the approximate size of the 35L Trion, and I have used it for mountaineering. 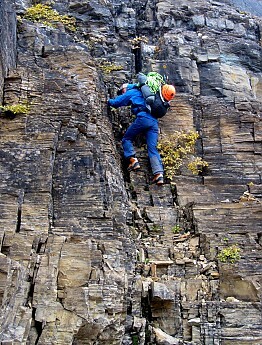 With the lid up on moderate terrain it was impossible to look up unfortunately. Having used this for a 3-day ski mountaineering hut-to-hut trip it was perfect. Not too big, just the perfect size. 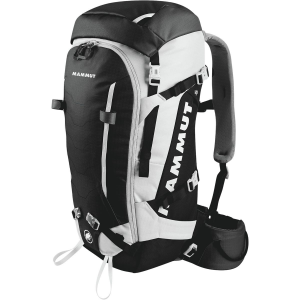 It also has the convenient front pocket for avi gear. Just enough to get a BD 240cm probe and basic BD shovel head and shaft inside. A G3 might have been a bit too big when fully loaded. Ice tools and crampons strap well to the front as well. Overall the pack seems to be bomber in terms of construction.